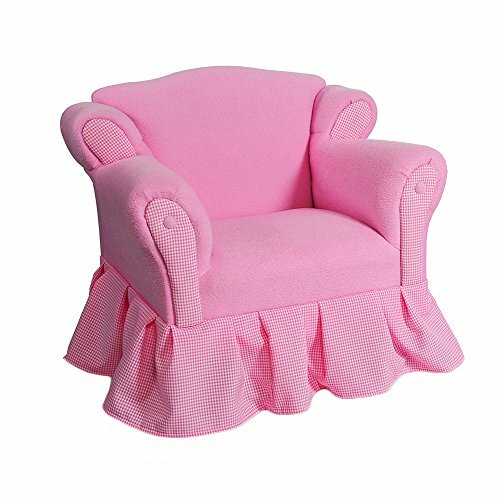 This Lovely Princess Chair will make all dreams come true, at any Girls Room. Handmade using the same construction methods as an Adult piece of Furniture, it has a Strong wood frame, and it is upholstered with High density Foam for the Cushion, and Poly/Cotton Fabric to add Comfort and Durability. Please look for the Matching Princess Chaise to create an Amazing Set. Any Girl will love it.